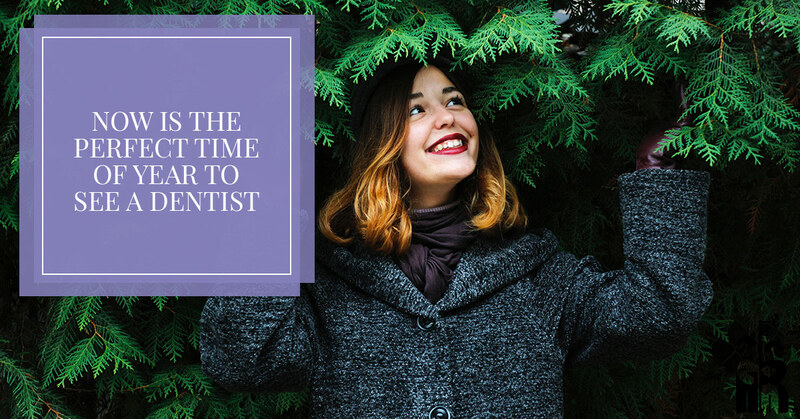 With Halloween now in the rearview mirror and Thanksgiving just around the corner, now is the perfect time of year to schedule a visit to your local dentist. The temperatures are starting to drop (that sure happened quickly, didn’t it?) and with even more great holidays that will be here before you know it, the team at Shores Family Dentistry would love to see you. But why is now the perfect time of year to see us for a visit? As a matter of fact that’s the topic of today’s post, so if it’s been awhile since you’ve been in for a checkup, this blog is for you. Keep reading to learn more — or if we’ve already convinced you to see us (that was easy! ), contact us today to schedule an appointment. When it comes right down to it, the truth is that this is the time of year that people indulge in sweets a little bit more. Needless to say, Halloween is known for its candy. Although it might seem like an indulge-on-Halloween-night-and-then-be-done-with-it type of thing, the reality is that Halloween candy has a way of sticking around for awhile. Even if you’re an adult, there’s a good chance that someone in the office brought in a bag of Halloween candy during the first week of November. That means that you’ll be working through the bag for a couple of weeks. When it’s gone, low and behold, it’s time for Thanksgiving! You have to have a slice of pumpkin pie, of course. And who can pass up on your aunt’s cookie bars? They’re tradition! Then you get into December and it’s time for Christmas, Hanukkah, and the other end-of-December holidays that are packed with frosted sugar cookies, chocolate-covered peanut butter balls, fudge bars, and all manner of other delicious sweets. Needless to say, all of that sugar can take its toll on your teeth. We’ll be the first to say it — there’s nothing wrong with indulging in some candy, cookies, pies, or cakes to celebrate the holidays. If enjoying sweets is one of the ways that you enjoy marking the biggest events of the year, we certainly don’t want to slow you down. It is, however, to stay up to date with your dental hygiene routine. At this time of year more than others, the impulse can be to slack a bit on your oral health can be a big one. “But I’m tired after a day with friends and family,” you think to yourself, “and it won’t really make that big of a difference if I don’t brush tonight, right?” If it’s just once, you are probably right. Unfortunately, it’s all too easy to get into the habit of skipping brushing here and there, and that’s the thing that can lead to bigger problems down the line. Our advice is to stay on top of things as much as you can. Floss once a day, brush two or three times a day, and use mouthwash after each teeth cleaning session. That’s the best advice you’ll ever get! Whether you’re new to the area (if so, welcome to the most beautiful city in Colorado!) or you have been a Fort Collins resident for many years, if you’re searching for a dentist, look no further. At Shores Family Dentistry, we believe in spending time getting to know our patients. We know just how difficult it can be for many people to go to the dentist and we are here to help minimize those fears as much as possible. That’s why we strive to greet our patients with a smile and a friendly attitude. One of the reasons that we’re advocating for scheduling a visit in today’s post is that we believe that ongoing preventative care ensures that we can catch something small before it becomes something large. In other words, if you see us twice a year then there is a higher chance that we’ll notice a cavity before you need to get a root canal. If you’re anything like most people, you’d much prefer to get a cavity filled! It also means that we can keep track of your overall health because there’s nothing we love more than caring for your general wellbeing in any way we can. You can also expect us to educate you about every step we take towards better dental health. In other words, rather than simply telling you you need something done and then doing it, we’ll take the time to explain to you exactly what is happening in your mouth, what may be causing problems, and what you can expect us to do about it. Keeping you in the loop is a high priority for us and we believe that it is incredibly important which is why many Fort Collins residents feel so confident visiting our dental clinic. We offer a wide variety of services. Whether you need a bridge, a crown, a filling, an implant, an inlay, or even some orthodontic work, we can handle it. We also offer root canals, teeth whitening, and wisdom teeth removal. At the end of the day, we know that you have options, but we strive to be the best one. Contact us today to schedule your appointment. We look forward to hearing from you!